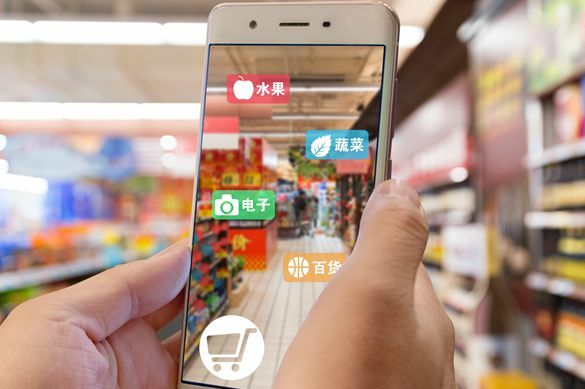 Kantar Worldpanel’s latest figures for 12 weeks ending 2nd November 2018 shows consumer spending on FMCG in China growth slowed down to 4.7% compared with the same period last year. Food categories struggled to find growth, up by only 2.0% while non-food categories showed a much stronger performance with an increase of 10.2% in the latest 12 weeks. Modern trade (including hypermarkets, supermarkets, and convenience stores) grew by 3.3% with supermarkets and convenience stores seeing the faster growth as shoppers switch their spend to smaller formats. Among the top 5 retailers, Vanguard Group and Yonghui Group grew faster than total modern trade. Vanguard continued to adjust its store structure and there has been a significant uplift on its sales driven by its supermarket and convenience stores. These two channels increased by 4.3 percent in value compared with the same period last year. Yonghui increased its share within the total modern trade to 4.1% in the latest 12 weeks. Thanks to store expansion, it passed Carrefour and Walmart to become the 4th ranked player in the East and further strengthened its leading position in the West. The Ecommerce’s growth remained at a high level, up by 42.1% over the last 12 weeks. Kantar Worldpanel data shows that there are more shoppers who purchased FMCG online one month before Double 11, with penetration increasing by 2.5 percent compared with previous month (i.e. 4 weeks period ending October 5th 2018). 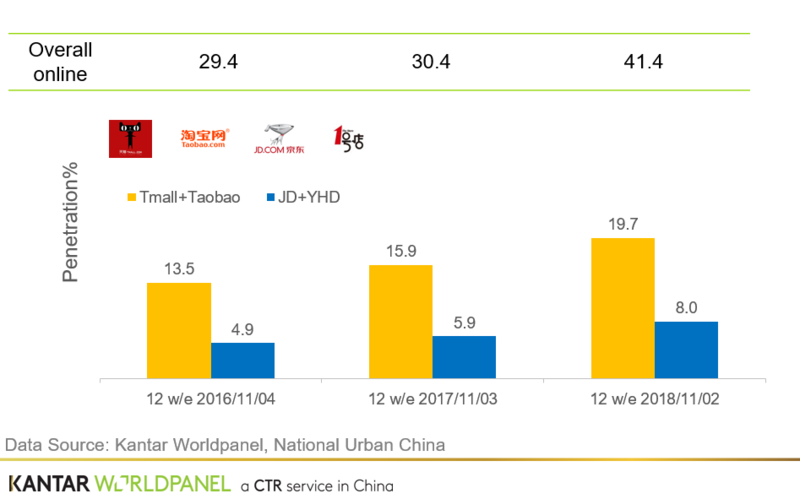 Taobao and Tmall (under Alibaba Group) combined was still well ahead of JD and YHD in the online FMCG market.